We create infographics as educational tools to present our methods and data. When fires erupt, what happens to the caracals? What's natural habitat to a caracal? Cats at day and night: are caracals really nocturnal? What's a young male to do to find a home of his own? 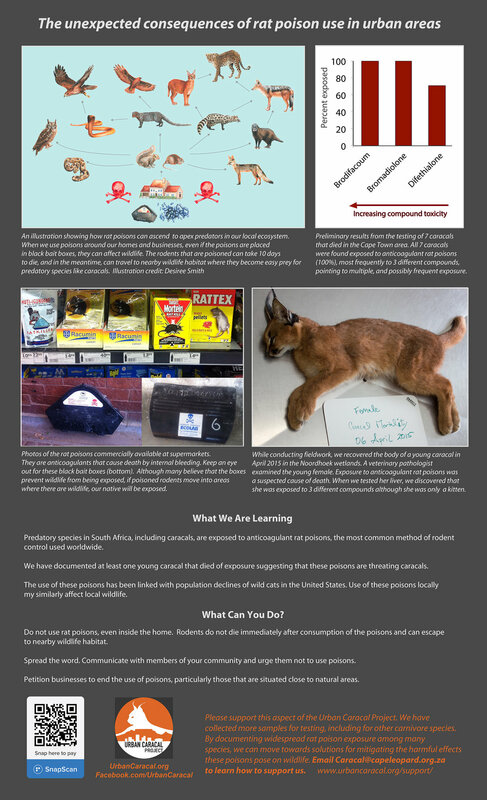 The Urban Caracal Project at work: Investigating GPS clusters to make many cool discoveries!